A play in two acts developed in a playwriting class through the partnership of WellArts and the National Multiple Sclerosis Society: Oregon and SW Washington Chapter. 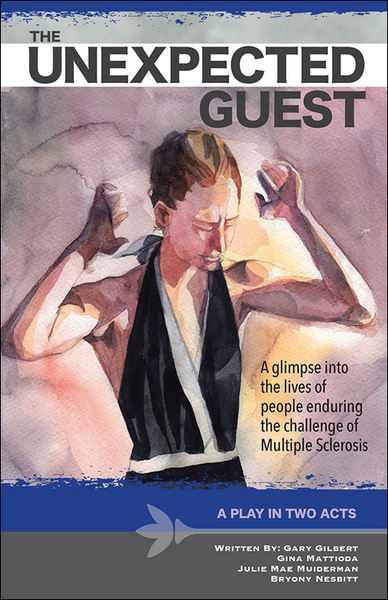 The play tells the story of receiving a diagnosis of MS, sharing the diagnosis with family and friends, and the day-to-day challenges of living with the diagnosis. The play explores the emotional realm of debilitating illness and the reflection of society back on those living these experiences. Edited by TL Max McMillen, ELS. Book design by Lynette Leisure. Cover art by Jenny Kroik. Jenny is a New York City-based illustrator and painter. Most of her work may be seen at: www.jennykroik.com.